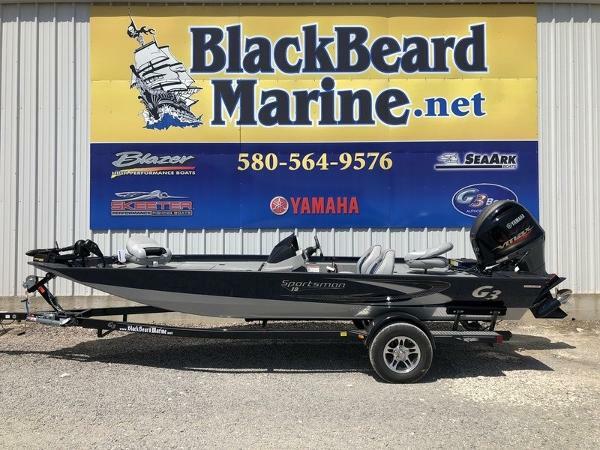 The Sportsman 19's all-aluminum construction is enhanced by superior features, including a wide body 92" beam, exceptional lockable storage, 33 gallon livewell, and head-turning graphics. 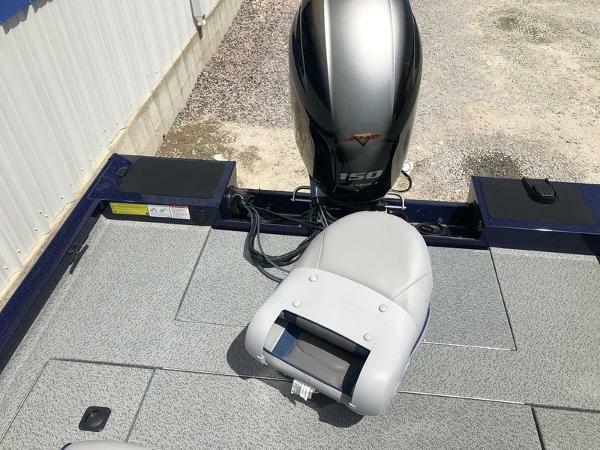 These models also include a bow mount Lowrance HOOK2-5 and helm mount Lowrance HOOK2-7, 24 volt 80# thrust trollingmotor and a three bank battery charger. 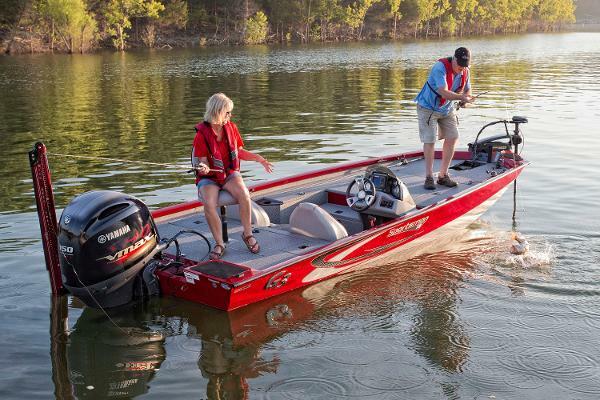 Find your advantage with the Sportsman 19 and feel the satisfaction that comes with the quality of G3 and Yamaha. 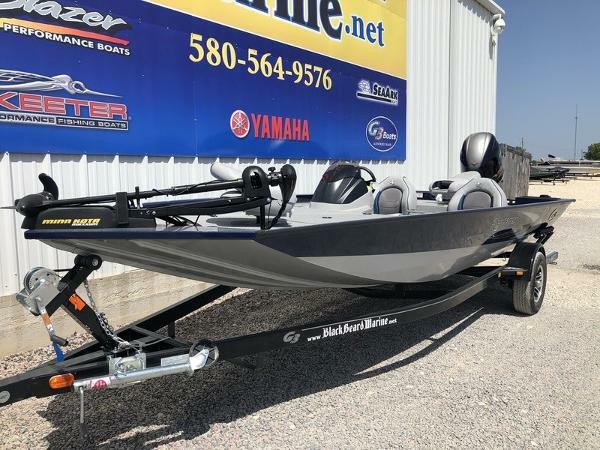 2018 G3 Sportsman 19 150hp Yamaha SHO, Lowrance Hook 5 at console, Lowrance Hook 4 at bow, Minn Kota Maxxum trolling motor, 3 bank on board charger The Sportsman 19's all-aluminum construction is enhanced by superior features, including a wide body 92" beam, exceptional lockable storage, 33 gallon livewell, and head-turning graphics. 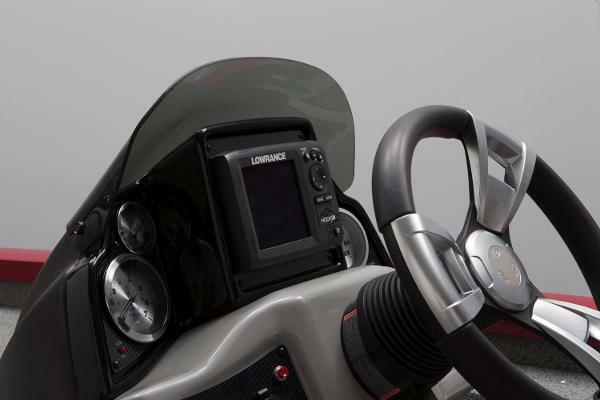 These models also include a bow mount Lowrance® HOOK-4 and helm mount Lowrance® HOOK-5, 24 volt trolling motor and a three bank battery charger. Find your advantage with the Sportsman 19 and feel the satisfaction that comes with the quality of G3 and Yamaha. Features may include: Welded .100 gauge all aluminum hull Painted urethane high-gloss colors w/ custom graphics Precision fit, powder-coated 3” tubular steel Trail Guard® trailer w/ locking detachable tongue, space saving and security 14” radial tires w/ aluminum wheels Three-bank battery charger Minn Kota® Maxxum® 70 lb 24 volt trolling motor Bow Mount Lowrance® HOOK-4 Helm Mount Lowrance® HOOK-5 Hydraulic steering The stylish console provides a true “command central” as quality Faria® gauges, in-dash Lowrance® Hook-5 and Yamaha controls all give the serious sportsman total control. 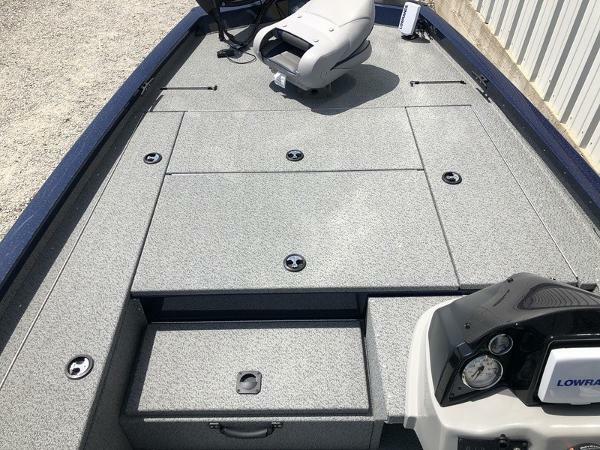 Swivel pedestal seat for two base locations format fishing comfort while operating the trolling motor. The 33 gallon live well is a spacious 15" X 45" and has a divider, insulated lid, and 800 GPH aerator pump to help keep fish alive all day. 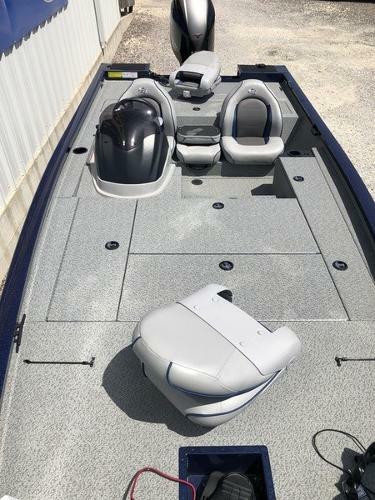 The Sportsman 19's all-aluminum construction is enhanced by superior features, including a wide body 92" beam, exceptional lockable storage, 33 gallon livewell, and head-turning graphics. 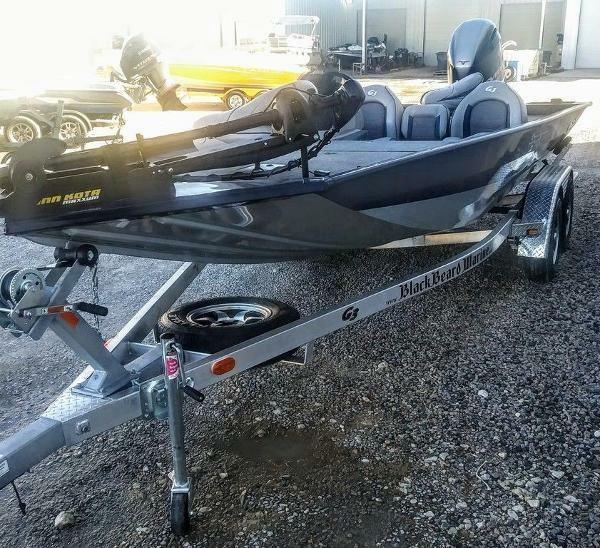 These models also include a bow mount Lowrance Elite 7Ti and helm mount Lowrance HOOK-5, 24 volt trolling motor, 8' blade powr pole and a three bank battery charger. Find your advantage with the Sportsman 19 and feel the satisfaction that comes with the quality of G3 and Yamaha. 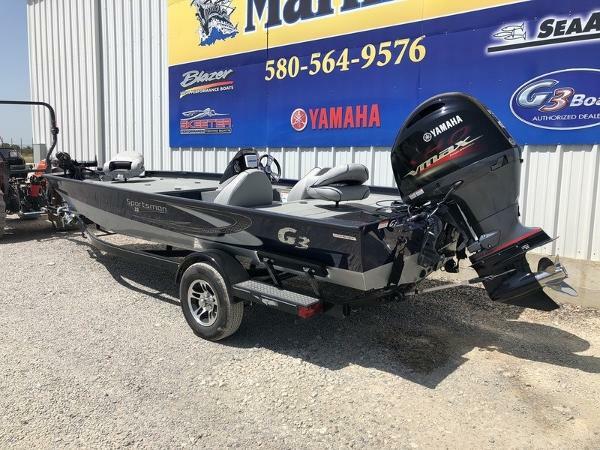 2018 G3 Sportsman 19 The Sportsman 19's all-aluminum construction is enhanced by superior features, including a wide body 92" beam, exceptional lockable storage, 33 gallon livewell, and head-turning graphics. 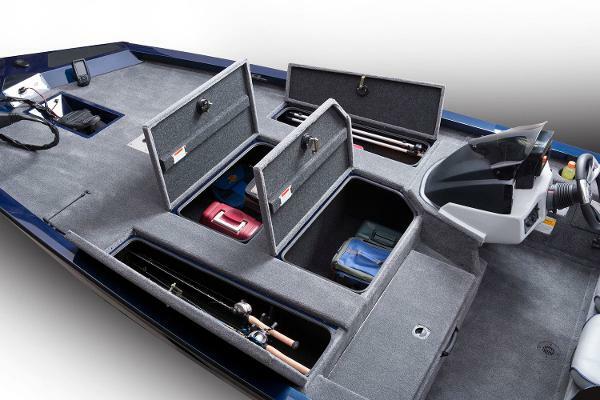 These models also include a bow mount Lowrance® HOOK-4 and helm mount Lowrance® HOOK-5, 24 volt trolling motor and a three bank battery charger. Find your advantage with the Sportsman 19 and feel the satisfaction that comes with the quality of G3 and Yamaha. Features may include: Welded .100 gauge all aluminum hull Painted urethane high-gloss colors w/ custom graphics Precision fit, powder-coated 3” tubular steel Trail Guard® trailer w/ locking detachable tongue, space saving and security 14” radial tires w/ aluminum wheels Three-bank battery charger Minn Kota® Maxxum® 70 lb 24 volt trolling motor Bow Mount Lowrance® HOOK-4 Helm Mount Lowrance® HOOK-5 Hydraulic steering The stylish console provides a true “command central” as quality Faria® gauges, in-dash Lowrance® Hook-5 and Yamaha controls all give the serious sportsman total control. 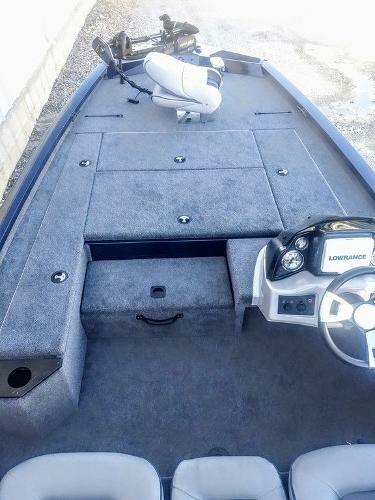 Swivel pedestal seat for two base locations format fishing comfort while operating the trolling motor. The 33 gallon live well is a spacious 15" X 45" and has a divider, insulated lid, and 800 GPH aerator pump to help keep fish alive all day.